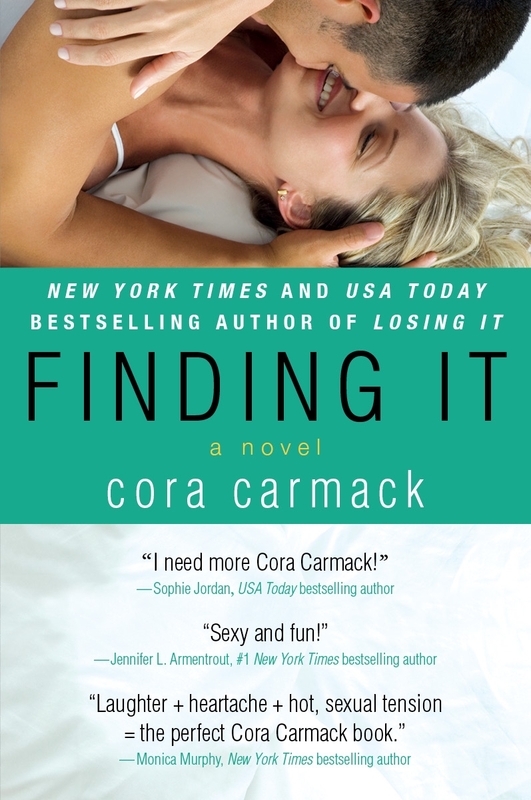 I’m super excited to be participating in the cover reveal for Cora Carmack‘s forthcoming novel, FINDING IT! Garrick and Bliss captured our hearts in LOSING IT. We cheered for Cade and Max in FAKING IT. Now it’s Kelsey’s turn in FINDING IT! Most girls would kill to spend months traveling around Europe after college graduation with no responsibility, no parents, and no limit credit cards. Kelsey Summers is no exception. She’s having the time of her life… or that’s what she keeps telling herself. It’s a lonely business trying to find out who you are, especially when you’re afraid you won’t like the you that’s found. No amount of drinking or dancing can chase away Kelsey’s loneliness, but maybe Jackson Hunt can. After a few chance meetings, he convinces her to take a journey of adventure instead of alcohol. With each new city and experience, Kelsey’s mind becomes a little clearer, and her heart a little less hers. Hunt helps her unravel her own dreams and desires, but the more she knows about herself, the more she realizes how little she knows about him. Cora Carmack is a twenty-something writer who likes to write about twenty-something characters. She’s done a multitude of things in her life-retail, theatre, teaching, and writing. She loves theatre, travel, and anything that makes her laugh. She enjoys placing her characters in the most awkward situations possible, and then trying to help them get a boyfriend out of it. Awkward people need love, too.